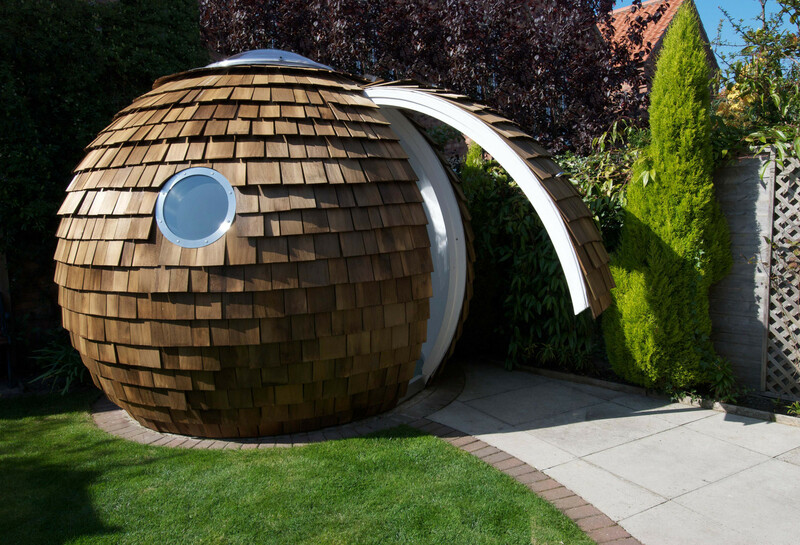 Archipod Garden Office Pod is designed specifically to complement your garden landscape, offering you a convenient office workspace from the comfort of your own home. With the rising cost of commuting, working from home is becoming increasingly attractive. 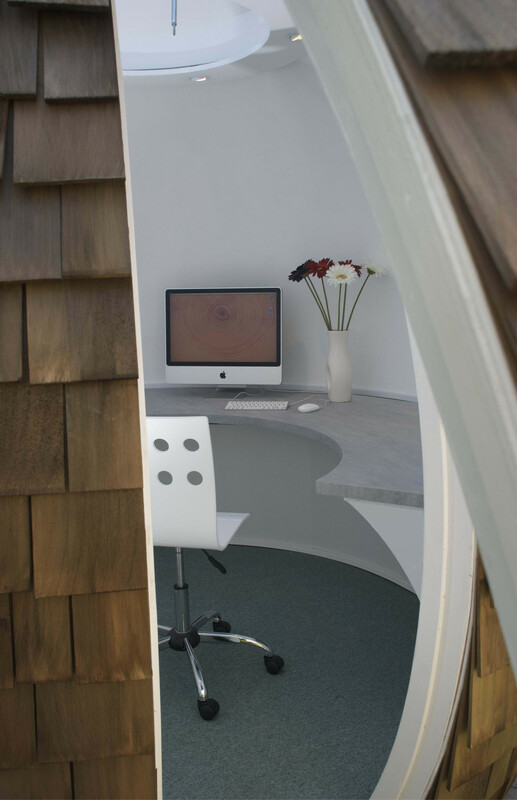 The home environment isn't always the quietest, however: enter the Garden Office Archipod. 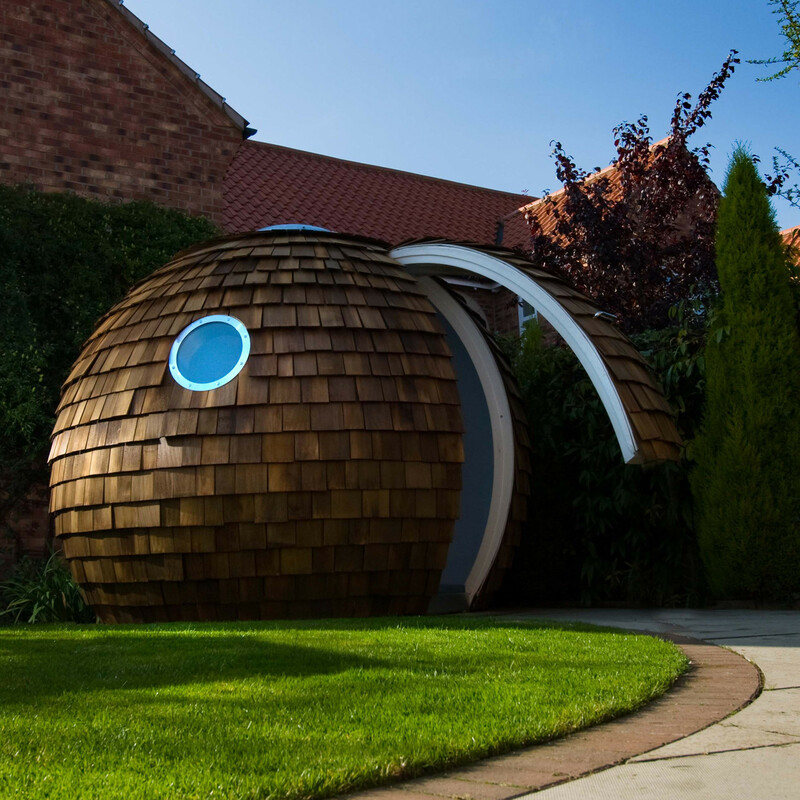 An insulated sphere approximately 3m diameter with a height of around 2.5m, Archipod Home Office is constructed predominantly from timber, the world’s most replenishable construction material. 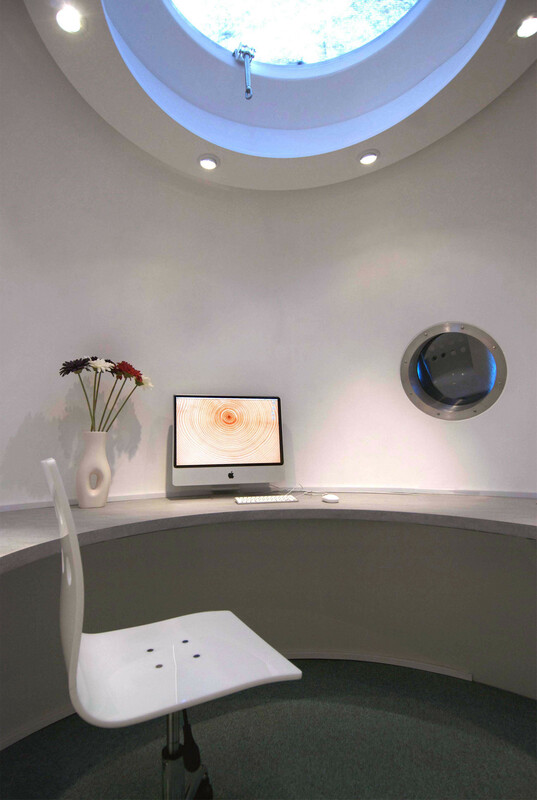 In fact Archipod Garden Office Pod is insulated to a standard exceeding that of current Building Regulations. What's more, the outer walls are made with reused wood, with the inner walls incorporating recycled glass. 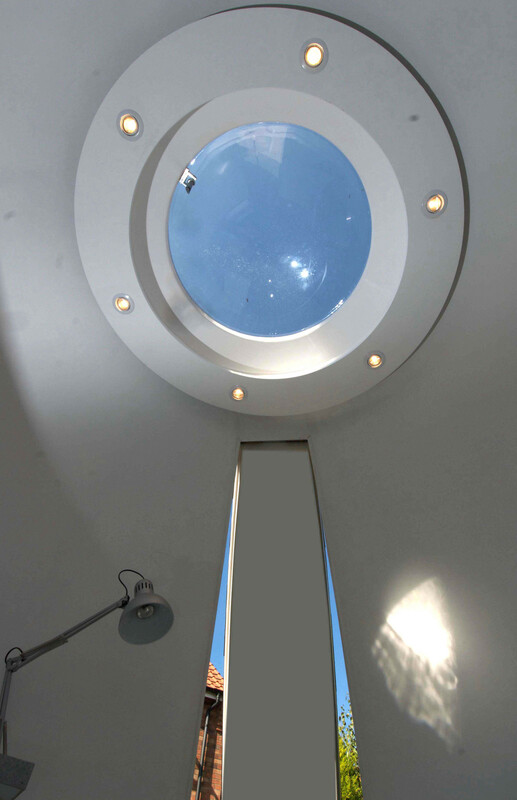 The sustainable structure of Archipod is prefabricated in sections that are sized to allow all the parts to be carried through a house, so access to your back garden is not an issue. The Archipod is primarily suitable for use as a home garden office, but could easily be adapted to anything you choose, such as: garden building, hobby room, home garden studio, children's play room, a space for outside entertaining, a dining room or even a tree house! 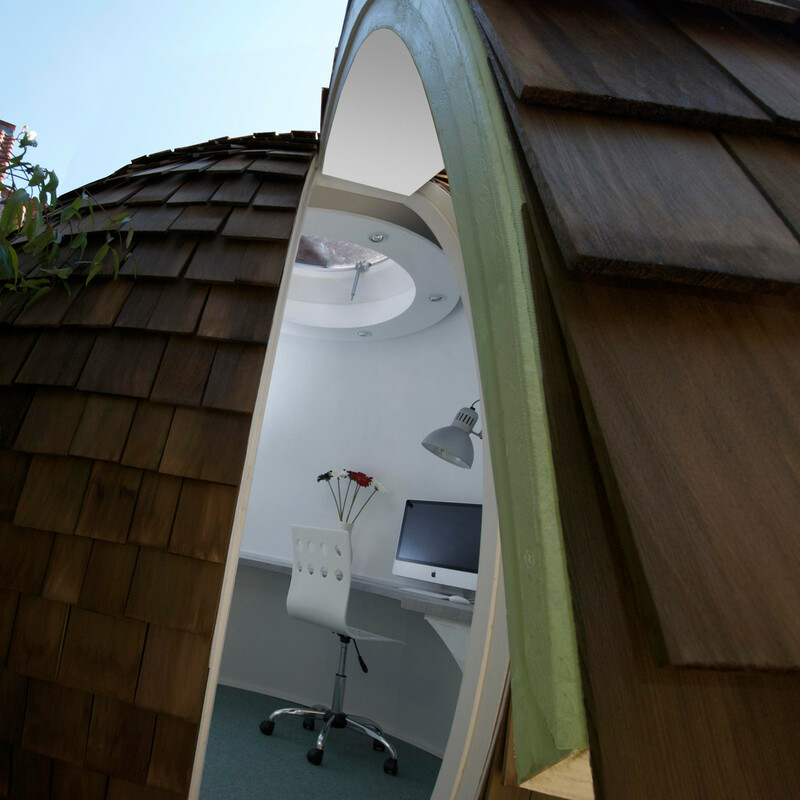 Because of the Archipod's unique shape and the generous natural light from the roof dome, the Garden Office Archipod actually looks bigger on the inside than the outside. 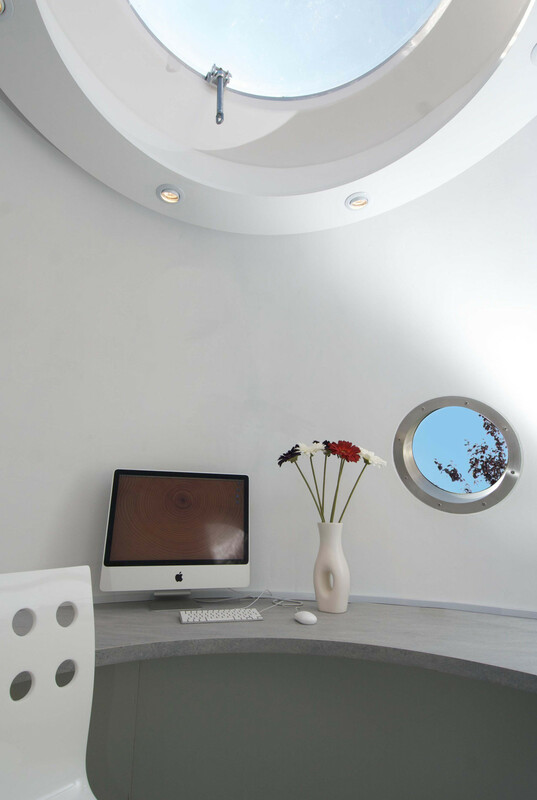 An Archipod office should not normally require home planning permission, and is delivered and installed as an integrated package, only requiring an electricity supply and a telephone connection from the house. 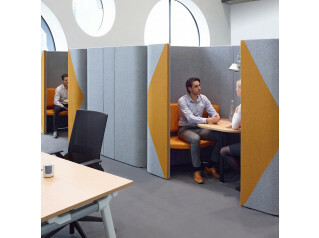 Please give us a call to discuss your requirements - all of the pods are built to order and can be tailored to suit your requirements. View more furniture from Apres Furniture. You are requesting a price for the "Archipod Garden Office"
To create a new project and add "Archipod Garden Office" to it please click the button below. 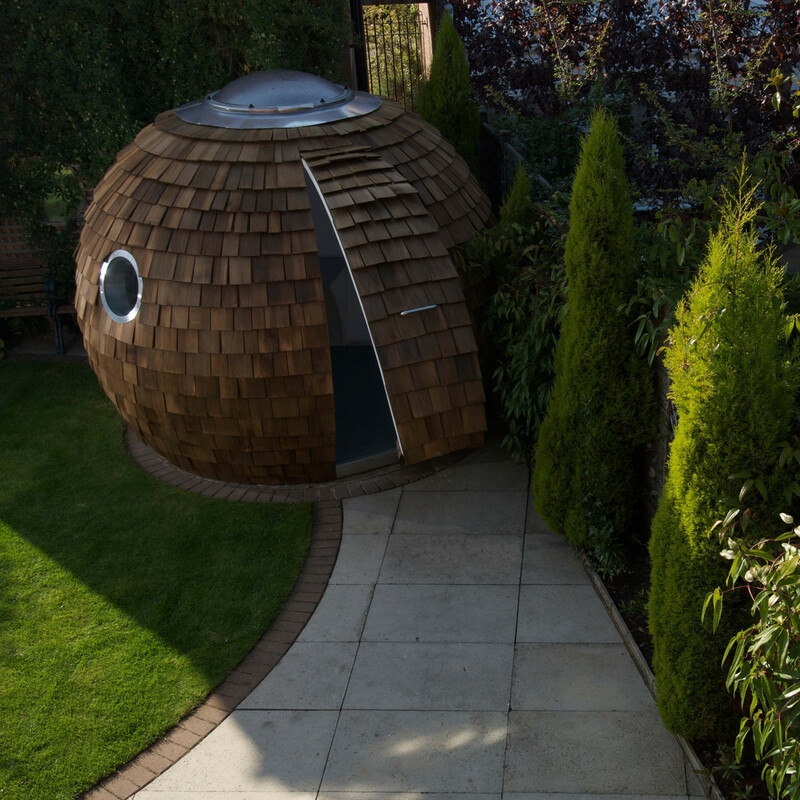 To add "Archipod Garden Office" to an existing project please select below.